Okay, next. Back when the post office announced they would discontinue Saturday service, I wrote a post called Write A Letter, Save A Postal Service, followed by Part 2, where I complained about not being able to find stationery with matching envelopes (no note cards, please!) in stores anymore. UPDATE: Saturday service will continue–Yae! More updates: I decided to take my own advice and write more letters. It’s been fun! I get things in the mail now that don’t go straight into the recycle. I have a blogger friend in Minnesota and we send each other letters in the mail. I wrote to Percy and Louise Schmeiser (who are big heroes in the fight against Monsanto, and who are in one of my book’s dedications), and they WROTE BACK. IN CURSIVE. And, I finally found some lovely boxed stationery in a local store. Yes, it is expensive, but I bought it anyway. Garden update: ehh, after a really warm early spring, the cold rain came back and most of the things I planted are not looking so glamorous. 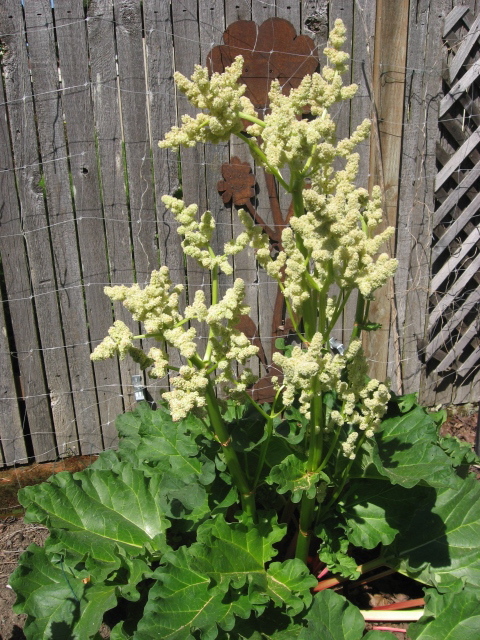 The carrots plain disappeared … But here is a photo of when my rhubarb seeded off. Author update: If you’ve been following, then you know I’ve been getting out and about in the community lately. 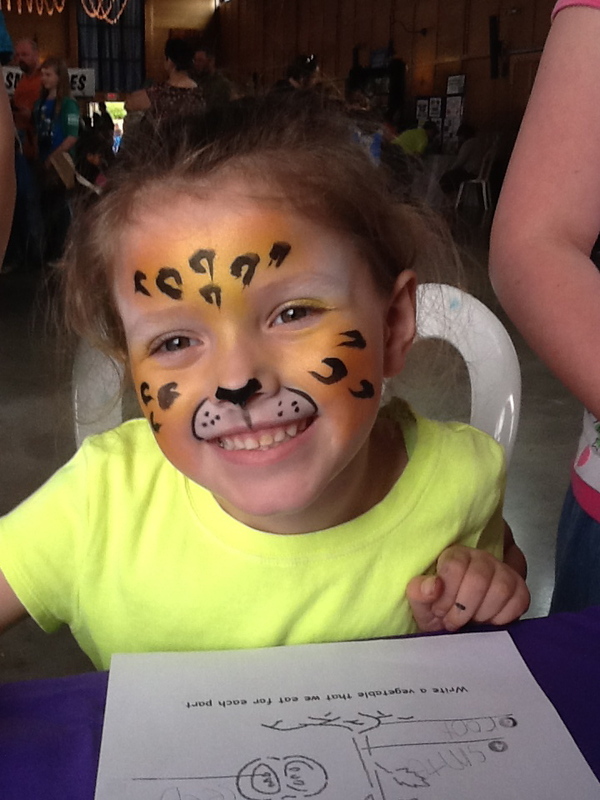 Here is a photo from my booth at an Earth Day event. And here’s another one from one of my school visits. And look at this one, compliments of the same sister who also suggested websites offering stationery: Her Morton Salt spiral notebook (mentioned in my last post)! Personal updates: Daughter home from college. Husband home from hospital. Son set to graduate from high school on Friday. Geriatric cats continue to live on, helping me increase in patience and compassion. All right. Those few of you who are wondering about the books and holding out to the very end: Yes, there will be another sale coming up for the e-books. No, I don’t know when I’ll be doing another giveaway of the paperbacks. Yes, I have been working on Heirloom every day. And LOVING it. 🙂 Please sign up for the e-newsletter if you want to know ahead of time when the sales, releases, etc. are. If you are on Facebook, that’s another option. Well, now. That’s pretty darn long for a blog post. See ya’ll later. 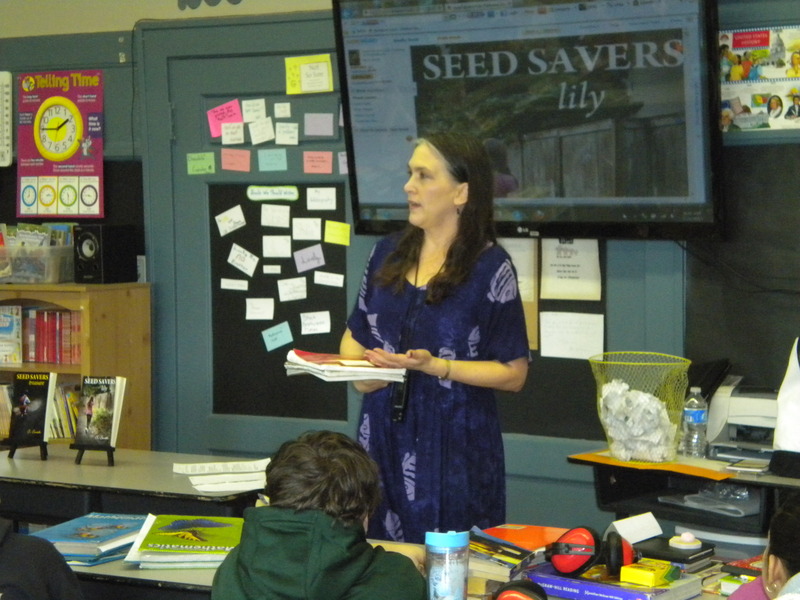 S.Smith is the author of the awesome middle grade series, Seed Savers. Visit her Pinterest and Facebook pages. Sign up for the newsletter!